Calum Yacht Services, Ibiza | If it exists in Ibiza, we will find it! "If it exists in Ibiza, we will find it!" 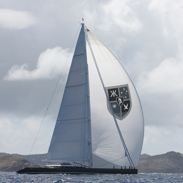 Having worked in the marine industry and on boats all over the world since 1984, we are familiar with the very high standard of service that our clients expect. In 1998 we moved to the White Isle and ever since then, Ibiza has been our home. Our agency is highly dedicated to providing anything you may need during your stay in Ibiza. We know the hidden gems that only come with local knowledge. Over the years we have built and maintain, an extensive list of friends and contacts second to none, which can open doors that are normally closed to unfamiliar visitors. In our site you will find a selection of primary services we offer - should you require anything that is not listed please, just ask us! It’s a pleasure to recommend Calum Yacht Services, we are in and out of Ibiza all summer. We use CYS on every visit, from dockage, fuelling, transport to restaurant/club bookings and chaperone service - seamless and always delivers. 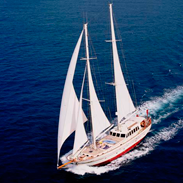 SY Kokomo has been associated with CYS for 7 years, Calum Yacht Services has proven to be a great asset to us in Ibiza. On time with our many requests, nothing is too much trouble, professional and a pleasure to work with. Last minute lunch reservation and VIP table at the Blue Marlin closing party gives an idea of the standard of service to expect. Highly recommended.